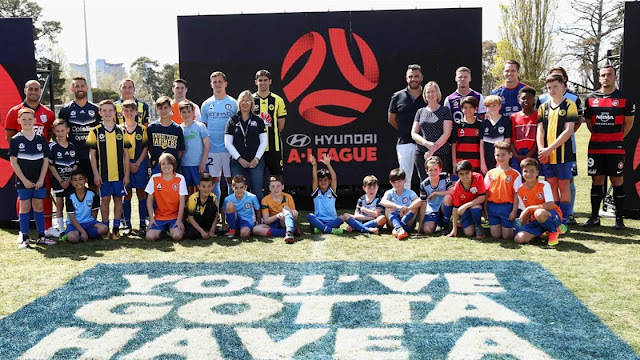 Expanding the A-League won’t work unless Australia follows the global standard of football says co-founder of the AAFC Tom Kalas. Late last month the FFA formally began the process to expand the A-League by two new clubs starting from the 2019/20 season. With the A-League 2017/18 crowd average falling to a six-season low of 10,699 and Fox Sports viewing figures reaching numbers lower than 20,000, many feel expansion will rejuvenate the code. But Kalas, who is the former co-founder and strategist of the Australian Association of Football Clubs (AAFC), warned FFA that expansion will not address the game's issues. “People now are understanding that despite an incredible run of good news over a 14-year period such as four World Cup qualifications, Matilda’s success, government handouts, professional marketing, a plethora of consultants and peak broadcast funding that the game is in a diabolical mess,” he said. “On February 2017, FFA stopped plans for expansion because they said that the A-League and W-League was financially unviable, 12 months later expansion is back on. Kalas said the issue can only be fixed once Australian football starts following the rest of the world in how they structure their leagues. “We must adopt the global standard which typically includes promotion and relegation and transfer fees,” he said. “Unless we link up all the tiers, create an affordable second and first division we are in for a very rough ride. “We must mobilise the FFA and all the State Federations to focus on building assets, which in turn builds football culture. Then and only then we will see the code reach its commercial heights in one or two generations. Kalas feels that the global standard can be achieved by scaling down the cost of teams playing in the A-League. “We must have first division teams playing in boutique stadiums," he said. “What the heck is Sydney FC doing playing at Allianz stadium? "What the heck is Brisbane Roar doing playing out of Suncorp? "Why is Melbourne Victory playing out of Etihad stadium or at a half-filled AAMI Park? “The problem is that we’ve built no assets and clubs have no stadiums of their own so where do they go? “More alarmingly for me the current model is creating an atrophy on the existing meagre facilities the game needs to defend itself against other codes' intrusion. “There’s a code land war and we're throwing money on a flawed model. “Now that the summer period is inundated with more entertainment products from other codes we are seeing empty stadia in the A-League.